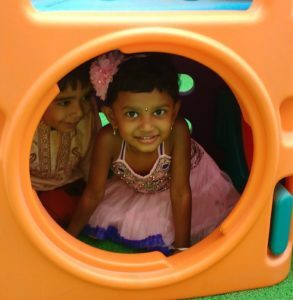 With our rich experience and expertise in the field of early childhood education and care and our experience in working closely with various parents, we understand the requirements of each organization is unique and we offer customized child care & preschool solutions for corporate. These solutions will be a great contributor to gender diversity, staff retention and bringing mother back to the work after maternity leave. The organizations can be benefited in various directions such as reduced attrition levels, less absenteeism, higher productivity and lower recruitment costs. Child care facilities at or near the workplace with preferred fees attracts good and prospective employees.